Mike McCullough’s background consists of nearly 19 years in the banking industry, ending up in Wellington as a Business Manager. In late 1994, Mike moved to Tauranga, firstly into retail as a business owner and after five years moved into real estate in 2001. Mike commenced as a Business Broker prior to moving into the residential market with Tauranga First National in 2001, subsequently moving to a privately owned company as a Property Consultant in 2003, then back to Tauranga First National in 2006 as Sales Manager and then Branch Manager in Katikati until June 2009. From 1 August 2009, he was the Principal and Licensee at First National Real Estate, Bethlehem until 31 August 2011 and resumed again in February 2012 after a short stint in Brisbane. 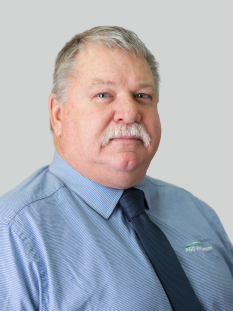 In June 2013, Mike joined PGG Wrightson Real Estate as Business Development Manager for the Bay of Plenty. Mike is proud to be associated with such an outstandingly successful brand. Mike has completed further real estate studies for National Certificate and Branch Manager, and has completed papers to have his AREINZ plus the Diploma in Real Estate. He has lived and worked in Wairoa, Masterton, Helensville, Taumarunui, Hamilton, Wellington and finally Tauranga for the past 16 years. His family has all grown up and flown the nest and his wife, Julie, is in senior management with Westpac. Mike has been involved with Tauranga Sports Rugby Club as a player, premier team manager, committee member and club manager, managed the Colts team for three years, and is still playing and participates in ‘Golden Oldies’ rugby. He enjoys playing squash, fishes when he can, and keeps track of his kids and grandkids overseas as best he can! !